After months of trying to find Magnum a home, a donor from Michigan offered to pay the adoption fee. Three months ago, Magnum was abandoned at the Humane Society Waterville Area with a mouth full of porcupine quills and, unknown to the shelter staff, a case of ringworm. The ringworm eventually led to the expensive and time-consuming task of disinfecting the shelter. But the story has, ultimately, a happy ending — a new owner stepped up to take the Great Dane home over the weekend, with help from another dog lover thousands of miles away. Magnum’s companion, Buddy, also abandoned at the shelter that night by the same owner, was quickly adopted. 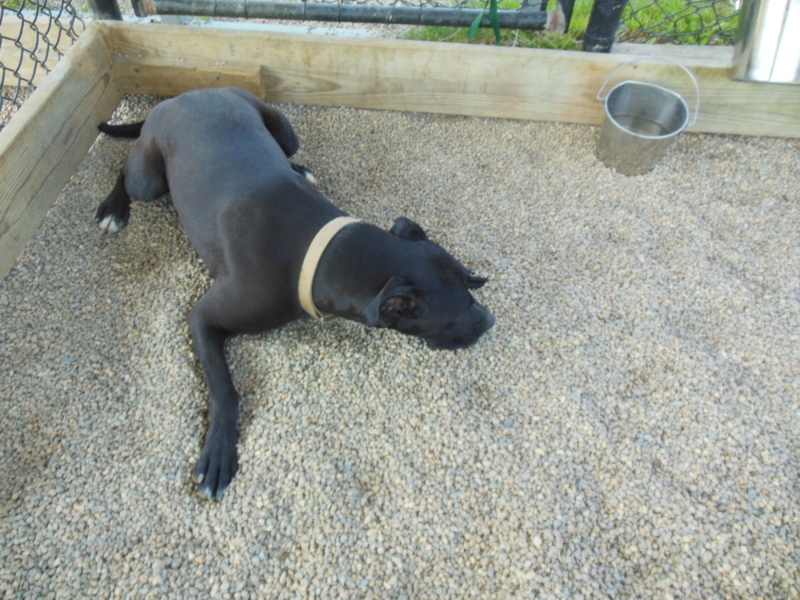 Margi Hayes, outreach coordinator, said Magnum originally was placed with a Fairfield resident; but the adoption was not a good match, and he was returned to the shelter within days. Hayes said it has been challenging to find him a home. Hayes said after the news went viral about the two dogs being abandoned, the shelter began to get emails and donations from a Michigan woman, Mary Thorsby, who sent $50 for stamps, a $150 check, $200 cash and dog and cat toy donations. She also took a keen interest in getting Magnum a family, said Hayes, and offered to pay his $95 adoption fee. “She has been almost frantic to get him adopted,” she said. 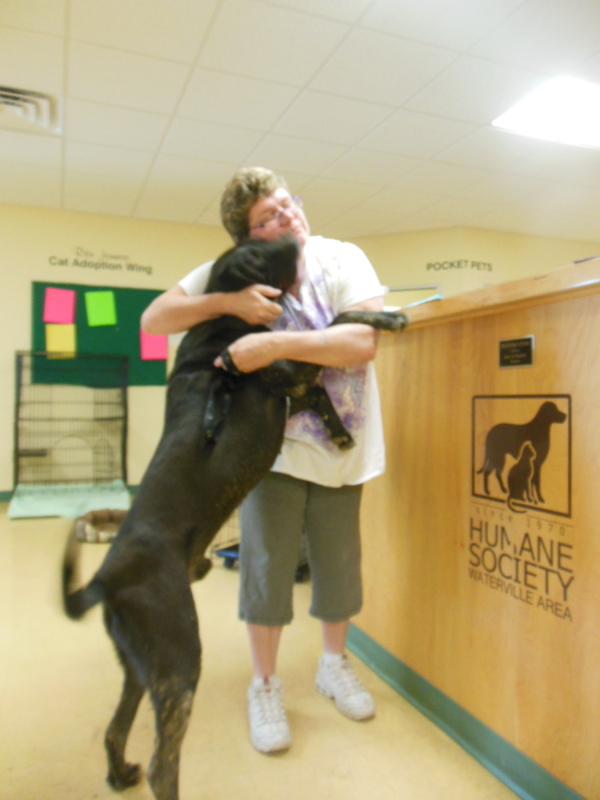 Then last week, Hayes said a woman came by the shelter “and fell in love” with Magnum. The woman, Cyndi French, told shelter staff she wanted to take Magnum home to her family right away; but even with the adoption fee reduced from the usual $150 to $95, she couldn’t immediately afford to pay for him. French couldn’t be reached for comment Tuesday. French said she had a previous dog she had been close to that died about a month ago, and she had been looking for another dog. After checking out photos of Magnum online, she said she decided to go meet him. “We played for a little while, and I decided to keep him,” she said. French said Magnum has bonded with her husband and her adult son and is adjusting well to life in his new home. “He’s such a good boy. He’s so spoiled,” she said.